The hotel enjoys an fantastic location just 500m to a selection of shops and bars, 650m from the seafront and 900m from Bodrum Castle. There is also a bus stop just 100m from the hotel which is ideal for exploring the area. 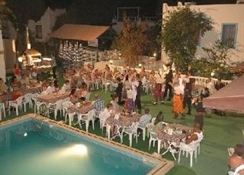 Bodrum is situated approx 36 km from the airport. 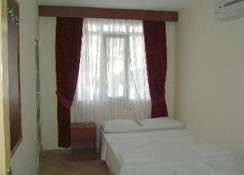 The facilities provided for guests includes a 24 hour reception, safe deposit box hire, laundry facilities and mini market. 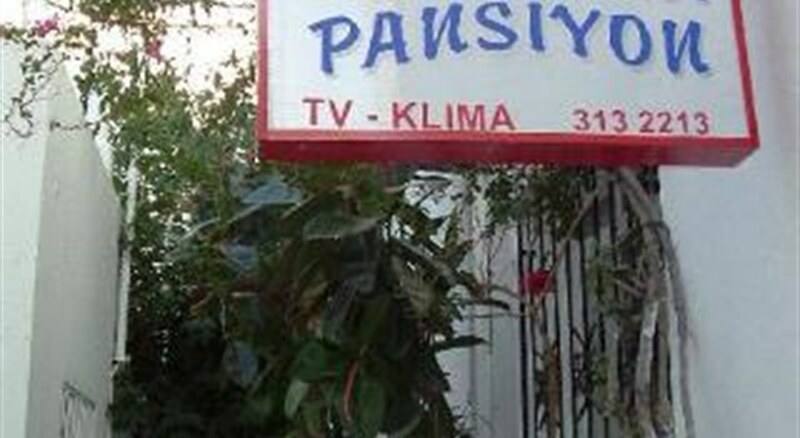 There is a restaurant, snack bar, bar and lounge bar with TV. Weekly Turkish nights and BBQ are also on offer. A swimming pool, sun terrace with loungers, pool table, darts and table football are available for guests and for the younger guests there is a section of the main pool and a play ground. This fully air-conditioned city hotel has 75 guestrooms, suites and apartments in total and offers shared facilities including a lobby area with a 24-hour reception and check-out service, a safe and currency exchange facilities. Guests can also relax in the hotel's cafï¿½ and bar or TV lounge, or dine in the restaurant (high chairs are provided). Room and laundry services are provided for an additional fee and guests arriving by car can leave their vehicles in the nearby car park. There is also a children's playground for younger guests. The hotel and its staff are committed to providing its guests with excellent service and hospitality. 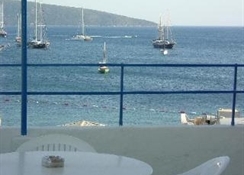 Guests will enjoy all the sight of Bodrum when living in the heart of the city at this hotel. 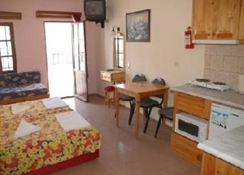 There is a choice of the hotel suites or self catering apartments and studios.